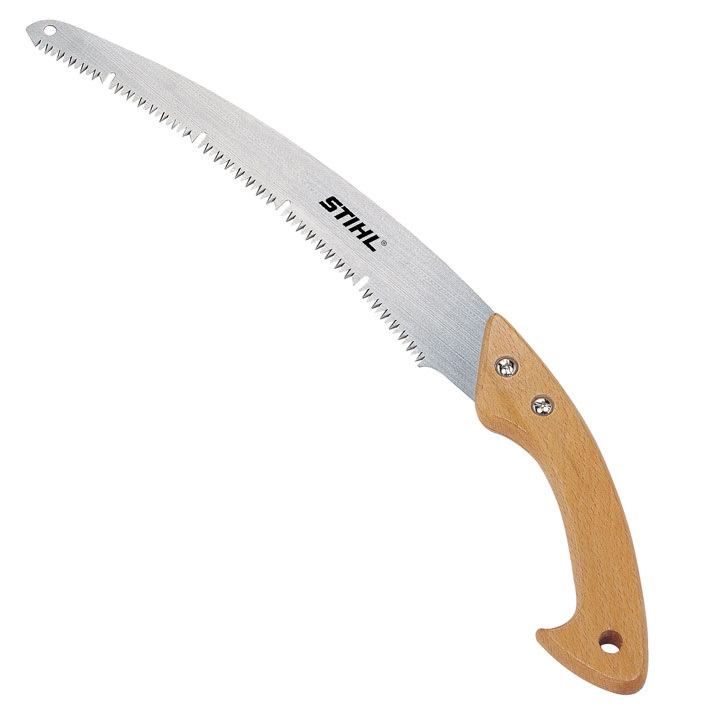 Sharp, long-lasting 32 cm saw blade made of tempered carbon steel for forestry, orchards, etc. Clustered teeth with cleaning slots give a smooth cut. Comfortable, sturdy curved handle, made of beech wood.